Florida has been popular among travellers for its hundreds of miles of beaches, Latin-American cultural influences and lovely weather. 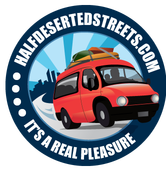 There are a lot of seaside activities to take part in, excellent nightlife, and a bouquet of places to visit. However, when you’re travelling with your family, especially your kids, the requirements in your itinerary differ vastly. You need some activities in your plan which are fun and exciting as well as kid-friendly. This is where the theme parks in Orlando, Florida come in. Visit some of the attractions of one or multiple of the any theme parks located in Orlando, and you can be sure that your kids will have the best time of their life. From various rides to movie based attractions, from meeting the characters of your favourite childhood television show to eating in restaurants themed after hugely popular movies, there are a lot of things to do in these theme parks for you and your family. Thousands of people visit these theme parks every day, and the faces of every one of them lights up with joy and happiness. 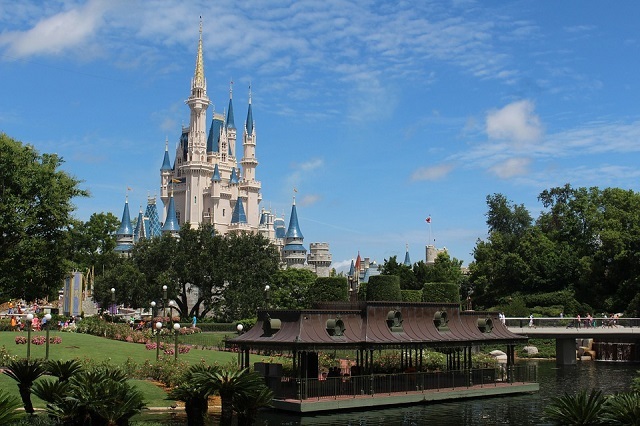 These theme parks are the best place to visit if you want to have a fun and exciting time with your family in Florida, and there are a lot of parks for you to choose from. Here are few of the theme parks in Orlando which you can visit with your family and kids, to have the ultimate fun-filled family vacation. Universal Orlando Resort has not one but three fun filled theme parks for you and your family to have fun in. 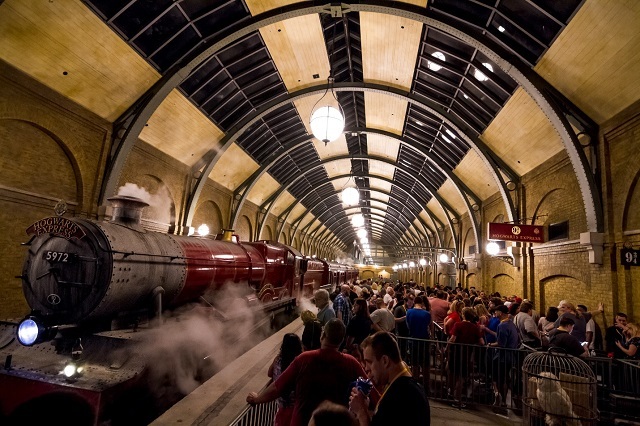 In two of them, Universal Studios Florida and Universal’s Islands of Adventure theme parks, you’ll get to visit the magical world of Harry Potter. Explore the lanes of Diagon Alley and Hogsmeade, visit the famous Ollivanders wand shop or enjoy a virtual flight over Hogwarts. If you or your kids are Harry Potter fans, then this place will blow you away. There are a lot of entertainment shows and rides based on other famous Hollywood flicks like The Mummy, E.T., Shrek etc. and an array of themed restaurants as well. The third park, Universal’s Volcano Bay is a water theme park where you can enjoy many water rides with your kids. Walt Disney World in Orlando has a total of four dry theme parks and two water theme parks which you and your kids can visit. Visit the Magic Kingdom Park for a chance of meeting your favourite childhood cartoon character. In Epcot and Disney’s Hollywood Studios, the rides and shows are based on various favourite Hollywood movies. In Disney’s Animal Kingdom, you’ll get to visit the moon of Pandora from the Avatar movie, and see many birds and animals. Visit the waterparks Typhoon Lagoon and Blizzard Beach if you want a fun and wet day with your family. In Discovery Cove, you’ll get to enter a tropical island paradise. 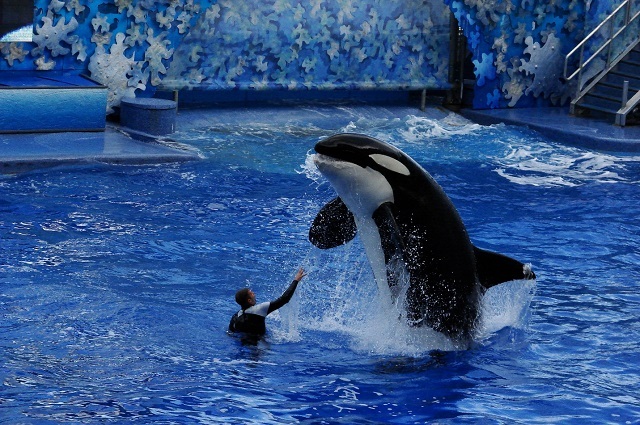 There are a lot of marine animals in this theme park for you to interact with. You’ll be able to swim with dolphins, learn all about them, watch sharks and stingrays, dive into ‘The Grand Reef’ to swim with multicoloured fishes and many more. 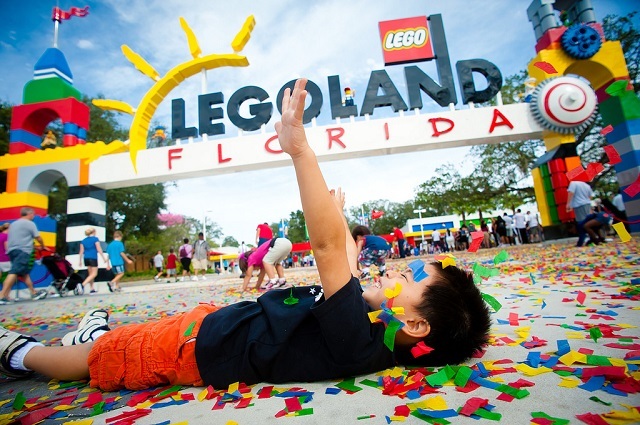 This theme park is based on the favorite toy of all time, Legos. Visit a world made of Legos, and full of rides based on these amazing toys. This 150 acre park has thousands of amazing Lego models. This is another water theme park for you and your family to enjoy a fun filled day with. Enjoy riding on a lot of water or land based rides, watch dolphins, sharks and Beluga whales or ride on Mako, the tallest coaster in Orlando – the excitement in endless when you are in SeaWorld.